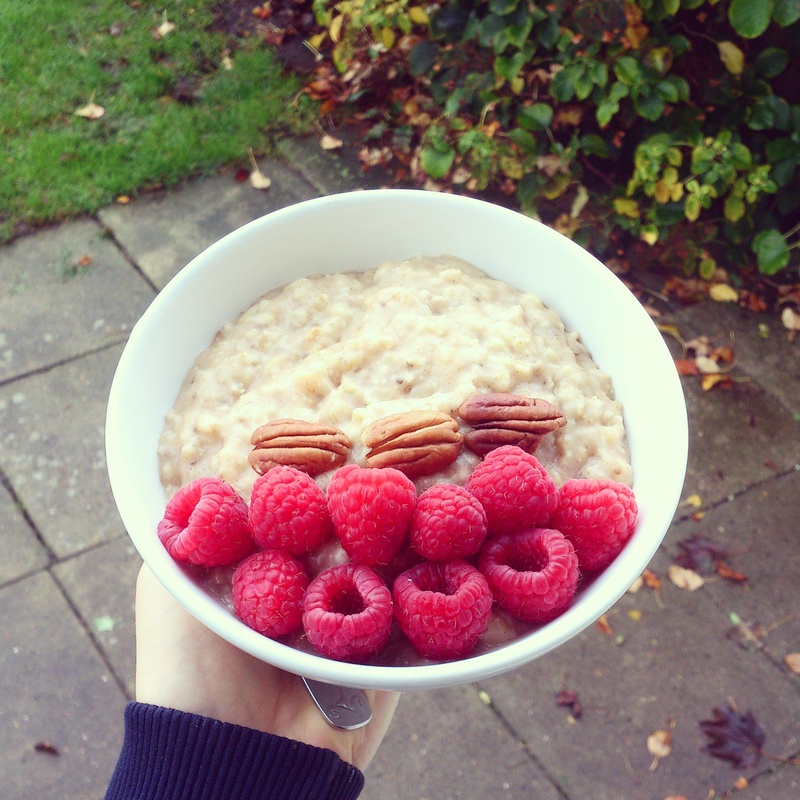 A perfect bowl of oats! So it’s been awhile since my last post, and I’m sorry about that! Ideally I would like to post tons of exciting and awesome recipes all the time, but I’ve just realised that it’s not optimal for me to have those kinds of expectations about myself. Because to be honest, I don’t like experimenting too much in the kitchen.. I like to stick to the food I know and love. And I’m totally a creature of habit when it comes to food! When I find something I like I will make it again and again. So instead of trying to make this blog something that it’s not, I’m just going to keep it more ‘causal’ for now. My blog should reflect me for who I am, and not what my mind want’s me to be – meaning I don’t have to come up with fancy recipes if I don’t feel like it. Okay enough ramble. Just because I haven’t come up with something new and exciting lately, I can still share my absolute favourite thing to eat right now: OATMEAL! I know, doesn’t sound too exciting huh? But it actually is. I’m kind of fussy when it comes to oatmeal… I don’t like my oats thin and watery, I like them thick and creamy and with amazing flavour! It has taken me a while to perfect my oatmeal recipe to my liking, so even though there’s tons of oatmeal recipes out there, I thought I would still share how I make it! All vegan, full of fibre and nutrients and really satisfying! 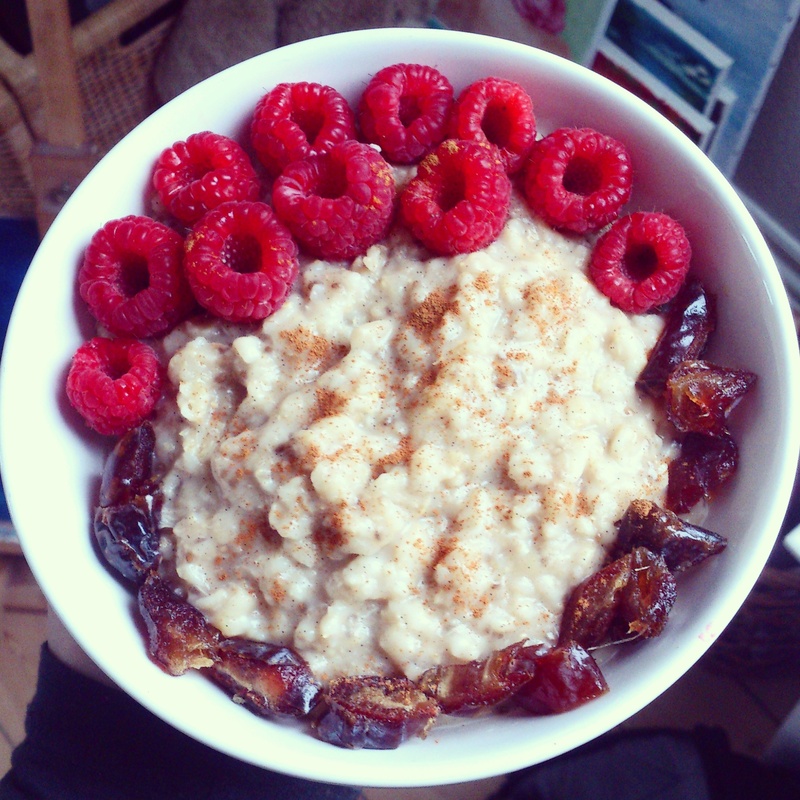 The trick to make the oatmeal really flavourful is using a really ripe banana. Seriously, don’t be afraid of those ugly looking, almost black bananas when you’re making this! It’s just like making banana bread, the more overripe the bananas are, the better and sweeter the finished product will be. 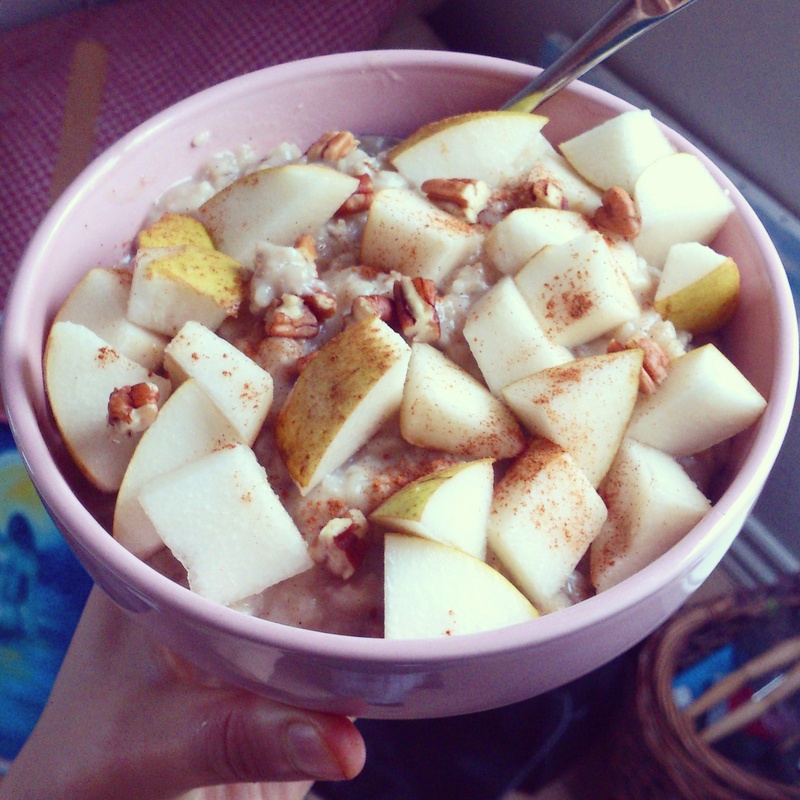 I also use copious amounts of cinnamon in there because I love it so much.. Haha! Just use how much you prefer. I’ve also had a huge obsession with oat milk lately, or in particular this brand. The only ingredients are oats, water and sea salt and it’s so creamy, tasty and perfect. Highly recommended! But offcourse you could use any other milk in this recipe such as almond, soy or rice. Place the water in a pot and turn up the heat until it boils. Add the oats and stir. Lower the heat to medium and let the oats simmer in the water for about 5 minutes. In the meantime, mash your banana well and mix it with the chia seeds, cinnamon and vanilla. Check your oats. They should have soaked up a lot of the water at this point. Now add the banana-chia mixture and milk. Stir to combine. Set your heat to low and cover the pot. Leave your oats to simmer for 5-7 more minutes, and stir a few times in between. When your oats have reached your desired consistency, turn of the heat and remove the pot. To ensure maximum volume and fluffiness of the oats, I leave the pot to cool for about 10 minutes. You don’t have to do that, but I just like it that way.